The number of Iran’s compressed natural gas (CNG) stations is planned to reach 2,489 by late February, reports Iran’s Petroenergy Information Network. Hamid Ghasemi DehCheshmeh, director of the CNG Project of the National Iranian Oil Products Distribution Company (NIOPDC), said 40 new stations would come online during the 40 anniversary of the Islamic Revolution. Mr. Ghasemi said that 11 of the stations would become operational in the capital city of Tehran. 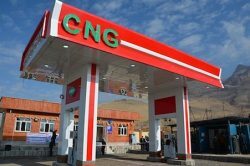 He further added that 128 CNG stations were being constructed across the country, adding that once all of the stations became operational, the number of CNG stations would exceed 2,500 in the country. During the current Iranian calendar year which began on March 21, 86 CNG stations were constructed by private sector investment.